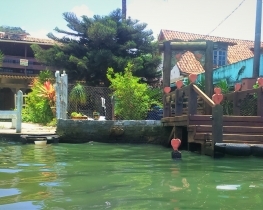 Ilha da Gigóia - quaint small river island to escape the city! This area with its islands, canals and peninsulas reminds me of the backwaters in Alleppey, India. Being surrounded by local exuberant nature, it’s hard to believe that Barra da Tijuca neighborhood with its skyscrapers is just within several minutes’ drive. The locals call Ilha de Gigoia “Venice for the poor” referring to the fact that it’s much cheaper to visit Gigoia than to travel to Italy. Nevertheless, many cariocas have never heard of this place and are surely missing a lot! 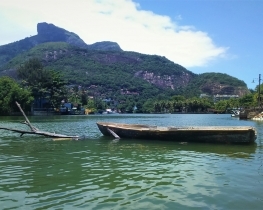 Whether you call it Rio’s Venice or Rio’s India, Gigoia is 100% worth visiting. 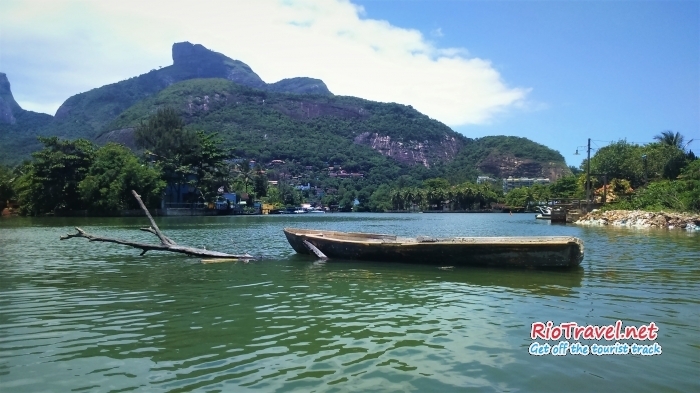 The best way to get to know the whole area is to rent a canoe or kayak in one of the places at the beginning of Lagoa da Tijuca (close to where it is connected to the ocean). Stand up paddle could also be an option, but needs much more effort as the way to the island and back is quite long. 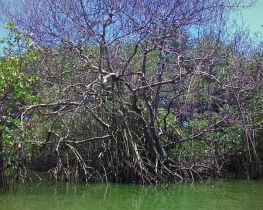 A small river island on Lagoa da Tijuca. In fact, so small that we managed to overlook it for almost 2 years. It is situated in a group of small islands on the Lagoa, in the beginning of Barra. You can get there by one of the numerous taxi boats, which cruise in the Venice-like channels between the islands. 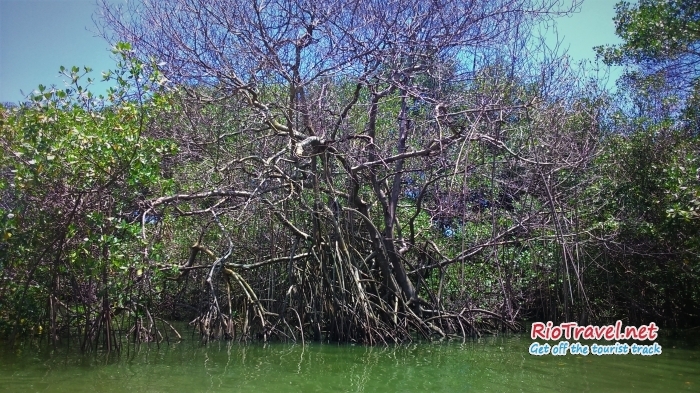 Enjoy the quaint gardens of the island villas and mangroves lining the shores during the short boat ride. It is a marvelous getaway from the buys city. You can walk around the few narrow streets of the island and enjoy the tranquility. Afterwards spend time in one of the island restaurants. The wait for the food can sometimes be very long, but the view to the channels, passing boats and background mountains, alongside occasional live music is priceless. 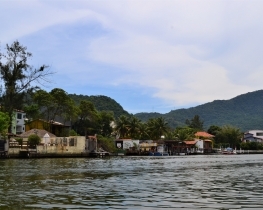 Ilha de Gigoia can be crossed from one end to the other in just 15 minutes. Even the widest streets look like tiny paths, and there are no cars on the island, of course. It has about 3000 inhabitants. Despite being so small, Gigoia has everything necessary: restaurants, shops and even guesthouses and rental apartments to stay overnight. The island is an extremely calm and also a very safe place thanks to its isolation. 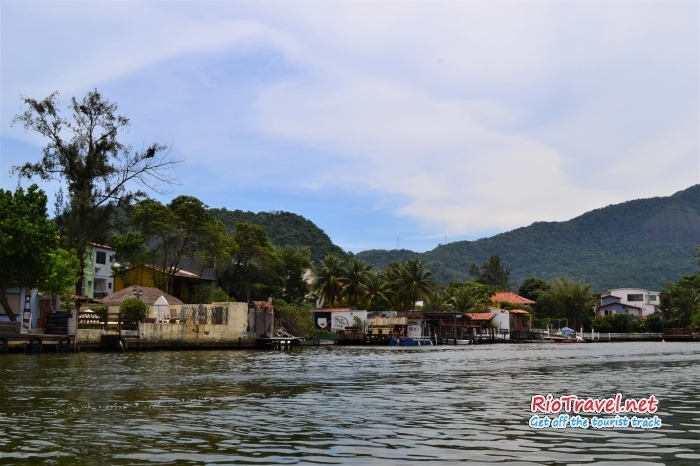 Ilha Primera (which is in fact a peninsula, not an island) is located next to Gigoia and is also worth visiting. It hosts the most popular restaurant in the area – Bar do Cícero, which offers a nice view over Gigoia island. 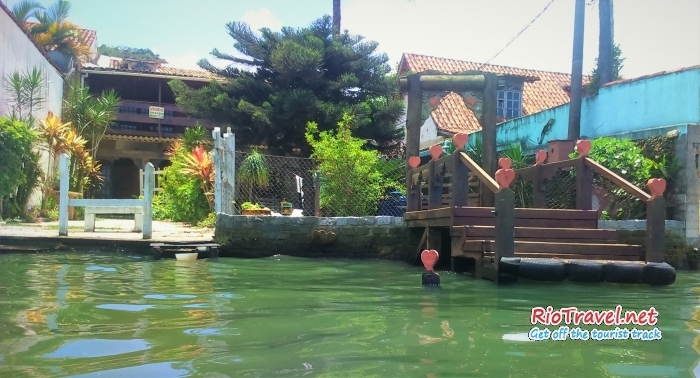 The inner streets of Ilha Primera have the same relaxed atmosphere as Ilha de Gigoia.